What were you doing on April 8, 1969? Many Canadians were focused on an event in New York City, as the brand-new Montreal Expos were playing their first game against what would become the world champion Miracle Mets later that season. Hope flowed across Canada as Tom Seaver lasted just five innings against the expansion Expos. Montreal won 11-10 thanks in part to a three-run homer by third baseman Jose “Coco” Laboy. 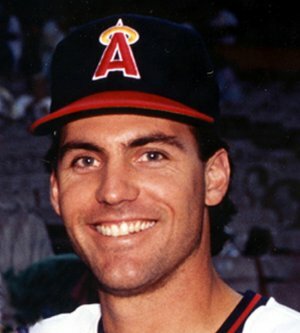 It was Laboy’s first major league game after a decade in the minors. Unlike most players plucked from the scrap heap known as the expansion draft, Laboy put up solid numbers in ’69, with 18 HR and a team-leading 29 doubles and 83 RBI. The Puerto Rico native tied for second in Rookie of the Year balloting, but the popular infielder crashed to .199 with 5 HR and 53 RBI in 1970. Knee problems limited Laboy’s playing time through his final season in 1973. Reality struck with a 1-4 record in the next five road contests before the Expos played the first major league game in Canada on April 14 against the Cardinals. An Opening Day crowd of 29,184 piled into Jarry Park, which had a listed capacity of 28,456. Montreal won 8-7 despite five errors and five unearned runs. Lefty Dan McGinn earned the victory in relief with 5.1 innings of shutout pitching. He proved to be the bullpen workhorse of the first-year Expos, appearing in 74 games and 132.1 IP with a 7-10 record, 3.94 ERA and six saves. It took two hours and 16 minutes to complete the high-scoring contest. The real fun came on April 17 when Bill Stoneman tossed a no-hitter against the Phillies. 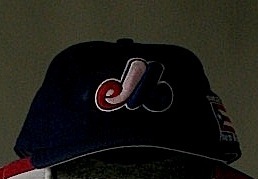 It was just the ninth game in Expos history and the team’s third home game. The 7-0 triumph was witnessed by a crowd of 6496, which wasn’t an unusually low number for an early season weeknight game in Montreal. It was a typical Stoneman performance with eight strikeouts and five walks. How much have baseball economics changed in a half century? Expos management gave Stoneman a $2000 raise on his $15,000 contract (the major league minimum salary was $10,000) for the no-no, and Renault rewarded the right-hander with one of their economy cars. 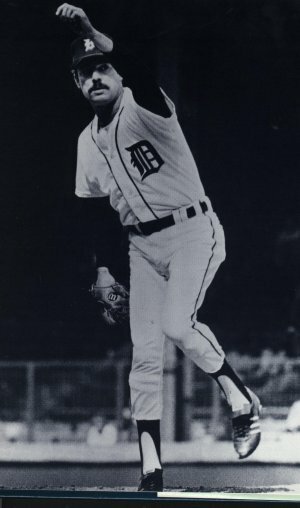 Stoneman tossed a second no-hitter against the Mets on October 2, 1972 against the Mets at Parc Jarry. After beginning with an 11-17 record, the Expos were outscored 125-49 during a 20-game losing streak that dragged on from May 13 to June 7. The number of explosive tirades launched during the 25-day string of losses by perpetually intense manager Gene Mauch wasn’t recorded. A four-game winning streak from September 12-15 was Montreal’s longest run of success. Talent is a scarce commodity for new teams, but the Expos had an All-Star caliber position player and some help from the supporting cast. Outfielder Rusty Staub was acquired in a trade with the Astros in February, 1969, and he immediately became a fan favourite. Le Grand Orange hit .302 with 29 HR and 79 RBI. Opposing pitchers often worked around the left-handed slugger, as Staub’s 110 walks were third in the National League. Rusty’s .426 on-base percentage and .952 on-base plus slugging ranked fourth in the NL. In addition to his performance on the field, Staub endeared himself to Expos fans by taking French lessons along with living year-round in Montreal and working diligently to promote the team. The future restaurant owner’s serious interest in food and wine certainly didn’t hurt in a French-dominated culture. Expansion draft pick Mack Jones lived up to his slugging reputaion by launching 22 homers with 79 RBI and a .270 average. Shortstop Maury Wills and line-drive machine Manny Mota were traded to the Dodgers for Ron Fairly on June 11, and he supplied offensive production (12 HR/39 RBI/.293 in 253 AB) and steady defense and first base and in the outfield. Bob Bailey was another productive bat, as he hit .265 with 9 HR and 53 RBI in 358 AB. Pitching proved to be the biggest problem for Mauch’s Expos. Stoneman (11-19, 4.39 ERA) was the only hurler with more than seven wins. Fellow starters Jerry Robertson and Mike Wegener went 5-16 and 5-14 respectively. A major league worst 702 walks (the NL average was 533) was a significant factor in the team’s 4.35 ERA. It’s all too easy to imagine Mauch reciting his saying “Most one-run games are lost, not won” as wild Expos pitchers repeatedly put opposing runners on base with four balls. Elroy Face was the exception to the general lack of control. The 41-year old reliever surrendered just 15 walks in 59.1 innings and went 4-2 with a 3.94 ERA and five saves. It was the final season for the 5’8″ forkball specialist. A late season deal did more than provide another arm in the bullpen. 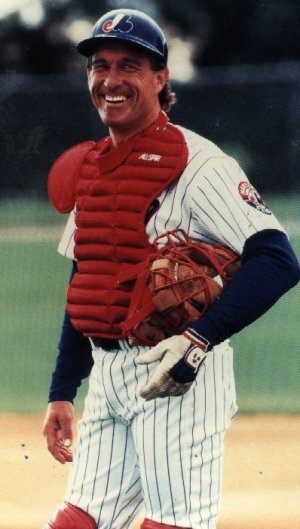 The Expos purchased Claude Raymond from the Braves on August 19. Was the trade a disappointment, as Raymond was going from the team that would win the National League West to a struggling first-year expansion squad? It was the happiest moment in Raymond’s lengthy (1959 to 1971) major league career. The native of Saint-John-sur-Richelieu, Quebec (just 40 kilometres southeast of Montreal) became an instant local favourite and the first Canadian to play for the Expos. He made 15 late season relief appearances in 1969, and number 16 came through with a career-high 23 saves for the Expos in 1970. Raymond then became the franchise’s French-language voice on radio and TV from 1973 to 2001. The right-hander was inducted into the Canadian Baseball Hall of Fame in 1984. So why didn’t management shake up the roster more than they did and send the underachievers packing? Montreal may have had the skimpiest farm system of the post-World War II era. The Expos shared the Class AAA Vancouver Mounties with the Seattle Pilots, which means there were roughly a dozen potential call-ups (many not worthy of a shot at the majors) under team control. Ironically, the Vancouver arrangement was much more convenient for the Americans than the Canadians. Seattle is just 225 kilometres south of the British Columbia city, and the Pilots frequently shuffled their roster. With Montreal located nearly 3700 kilometres and three time zones east of Vancouver, calling up marginal talent could be anything but cost effective. Aside from the few bodies in Vancouver, the rest of the farm system consisted of the Rookie level Gulf Coast League Expos and the West Palm Beach Expos of the Class A Florida State League. West Palm Beach offered little hope of a brighter future, as the team scored a mere 392 runs in 131 games (2.99 per game) while hitting just 81 doubles and 15 HR with a .211 team average. Even the most extreme optimist doesn’t expect a first-year expansion squad to contend for the pennant, but that didn’t stop Expos fans from turning out in solid numbers. The paid attendance of 1,212,608 far exceeded the other expansion teams of that year. The Kansas City Royals drew 902,818, while a ticket count of just 677,944 help doom the one-year Seattle Pilots to bankruptcy and a move to Milwaukee. The San Diego Padres had a dismal attendance of 512,970, which means the Expos outdrew the Pilots and Padres combined. No-frills Jarry Park had zero amenities, as none of the seats were covered by a roof or provided any protection from the elements. The proper name for the facility is Jarry Park Stadium (Stade Parc Jarry), as it is located in Montreal’s spacious Parc Jarry. A domed stadium was one of the conditions for Montreal’s entry to the National League, with 1972 as the original deadline for the new ballpark. Strikes and other delays kept the Expos in Jarry Park through the 1976 season. While Jarry had its drawbacks such as the sun setting in the first baseman’s eyes during early and late season games, many fans found Olympic Stadium to be a less than ideal setting for baseball. Putting a team in French-speaking Quebec was a radical departure from the tired “We’ve always done it that way” mentality that was pervasive in baseball in the 1960s. The province’s residents displayed their sincere enthusiasm with attendance that was out of proportion to the meager results produced by the 1969 roster. Although the Expos moved to Washington, D.C. following the 2004 season, Montreal is among the top cities when future major league expansion to 32 teams is discussed. Quebec baseball enthusiasts surely hope for a second chance.